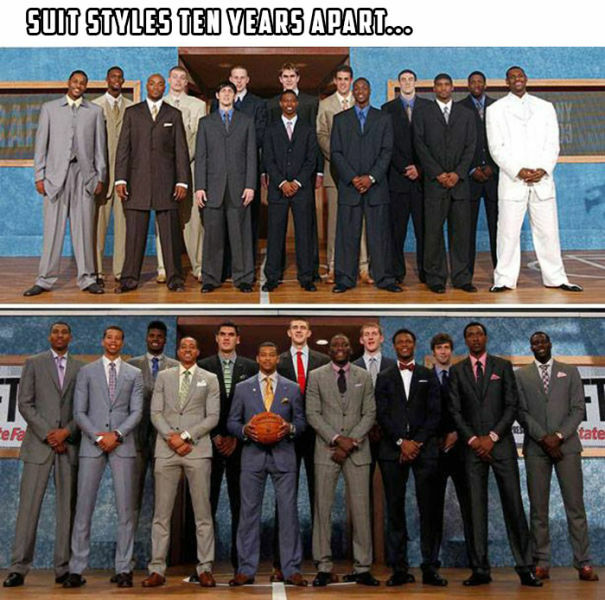 Basketball players' suit styles have changed a lot in 10 years. Home Team Crowd Comes Up With A Very Interesting Sign Designed To Throw The Visiting Team Off Their Game. This Is How You Round Up And Control A Train Of Shopping Carts On A Steep Hill. Basketball players' suit styles have changed a lot in 10 ye..